Prohibition came into force at midnight on January 17, 1920, and the first documented infringement of the Volstead Act occurred in Chicago on January 17 at 12:59 a.m.
Like most “special-edition-with-a-story” cash-grabs that have hit the shelves lately in the spirits industry, this one carries a hefty price tag ($60 at my local stores). 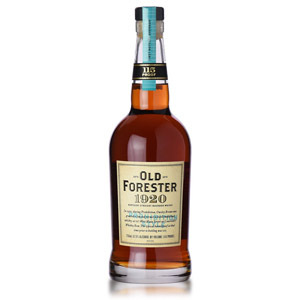 That’s kind of a lot of money for bourbon without an age statement, in my mind, but it’s gotten good press so I thought I’d give Old Forester another try since I panned their basic bottom-shelfer. 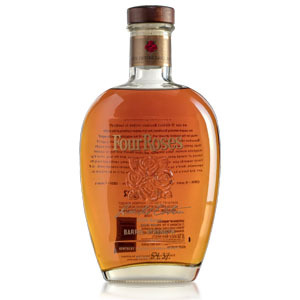 This bourbon uses a mashbill of 72% corn, 18% rye, and 10% malted barley (for enzymes), the same as other Old Forester bottlings, and is by law at least 4 years of age. 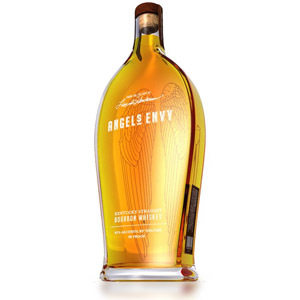 The 115 proof (57.5% ABV) is the distiller’s estimate of the probable bottling proof that would have been used during Prohibition for whisky intended for “medicinal purposes”. That higher ABV takes some sting out of the price… at least if nothing else I can use it to make decent cocktails, right? 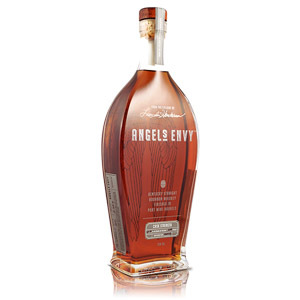 Nose: At 115 proof, this whiskey fairly climbs up your nostrils and begins garroting your nasal receptors. (Yes, I’ll be sprinkling Prohibition-era imagery into this review wherever possible. You have been warned!) A rest in the glass does cool its heels a bit. Deep, chewy nougat and blonde fudge. Not overly woody, but roundly sweet. Lousy with caramel, and a nip of banana. Right full of flavor, and ritzy to boot. Palate: Medium bodied. A haymaker to the tongue, this burns like a house on fire. When the smoke clears, there’s a layer of toasted nuts, a sense of cardboard, and raw cornmeal. There’s something missing – not enough sweetness, not enough balance… something. Finish: Medium-short. Banana cream pie and salt-water taffy. Not bitter at all, but without a dominating flavor. Fades quickly like a getaway car after a bank heist. With Water: Several drops of water have little effect beyond making the tongue burn more tolerable, which is not a bad idea at this proof. 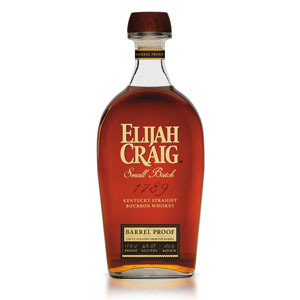 Overall: Like other Old Foresters that I’ve tried, this comes across as big, well-crafted bourbon that is somehow missing one critical element that I can’t put my finger on. Like a dive without a canary, or a trigger man without a heater… it almost rates. The aroma is the cat’s pajamas, but the rest leaves you dangling. One expects a little more oomph at this proof in terms of flavor concentration, and it’s not there. A bourbon for this much cabbage should hit on all eight, get me? Well that was fun, for me anyway. If nothing else, this will make some SOLID Prohibition-era cocktails, not that I relish putting $60 whiskey into a mixing glass. I have a bottle of this, and all I can say is that I agree completely with your assessment. Very hot, very dry, something missing. You’ve made me want to give this a try. I need to experience a finish that fades “like a getaway car after a bank heist.” ? Welcome to whiskey in 2017. Tread carefully or you may burn your wallet as much as your mouth. “The 115 proof expression REPRESENTS a barrel sample that company president Owsley Brown I WOULD HAVE BATCHED at the beginning of Prohibition” (emphasis mine). What the heck does that mean? Do they actually have a sample that they’re trying to mimic here? Weird word choices. P.S. Great lingo, you rube. I have no idea what it means. 🙂 Best guess? They’re saying it’s the same strength and approximate recipe that might have been used by the company during Prohibition, when they were bottling under the medicinal booze laws. I don’t think this is a drink it straight type whisky. I use it to make some beautiful Old Fashioned cocktails though. Cherry season is here, use real cherries!! Really enjoying your blog so far man! great writing, witty reviews and refreshing honesty. Fairly new to scotch, but a long time admirer of bourbon. 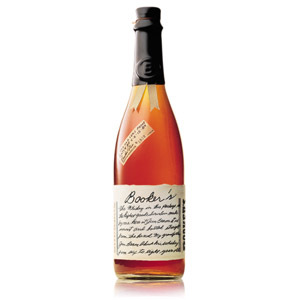 Have any thoughts on the ‘Birthday Bourbon’? Thanks for the Talisker 10 suggestion (sipping on it now). Thanks for the comment! The Old Forester Birthday Bourbon sells out immediately everywhere near me, so I haven’t been able to acquire a bottle, alas. Revisited after 2 weeks. A little airspace in the bottle seems to have softened it. Definately a sipper and very tasty now. With a cube in a Glencairn noticeable banana like flavor. My opinion has definitely improved.